← Fox Business: Is there a silver lining to the Solyndra bankruptcy? Fox Business: Is government doing enough to create jobs? CT governor tries to woo businesses and spur job growth with incentives and promises of deregulation, but this comes months after an income tax increase and other new regulations. Too little, too late? Catch a snipet from my conversation with Neil Cavuto. 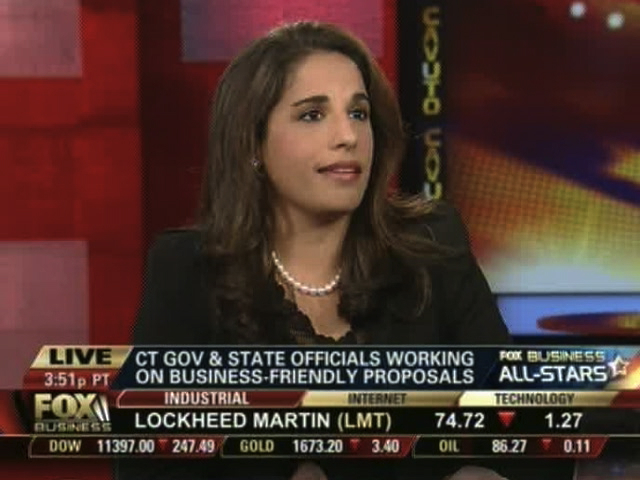 This entry was posted in Fox Business, Uncategorized, Video and tagged ct governor, job creation. Bookmark the permalink.